These baked chicken strips are easy to make—they only require a little prep and let the oven do most of the work. Serve them up with BBQ sauce, ranch dressing, or ketchup, and your family will be in chicken strip heaven. Be sure to rate the recipe and leave us a review to let us know how your family enjoyed the meal. Your advice and tidbits can help other families share in the tasty goodness that these baked chicken strips have to offer. Chicken strips have always been a favorite dish for kids and are perfect to serve for family dinners. 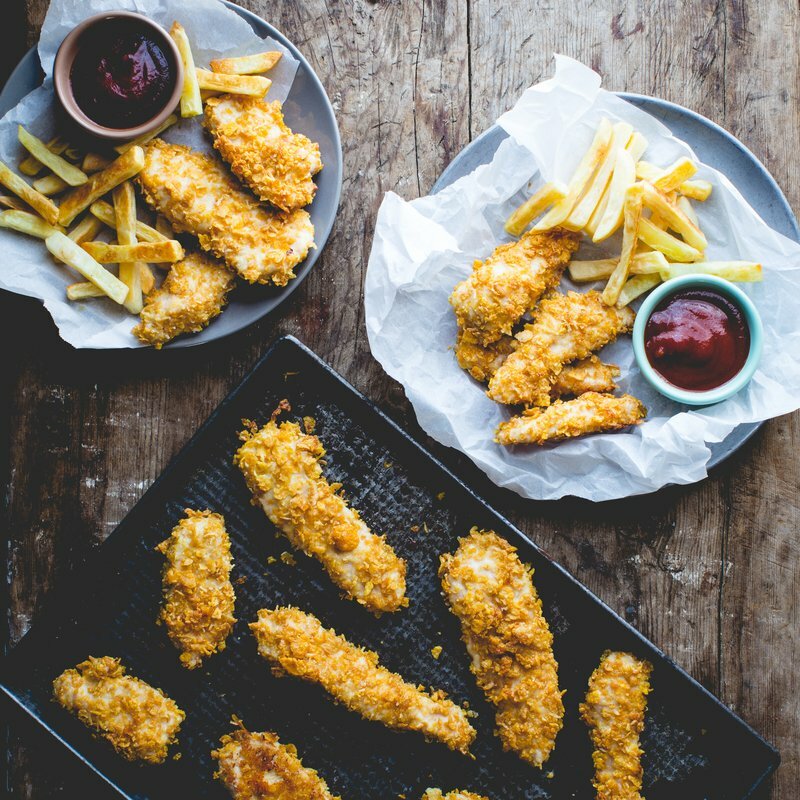 Frozen chicken fingers can't quite match the taste of freshly baked chicken strips, and this recipe is sure to become a family favorite once the kids get a taste. What sets these chicken strips apart is the cheesy cornflake breading. 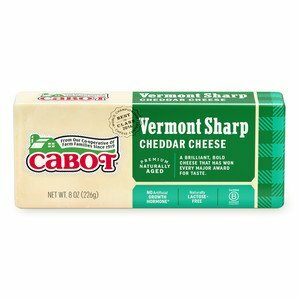 4 ounces of our Cabot Sharp Lite50 Cheddar mixes with 1½ cups of crushed cornflakes to create a crunchy, golden brown breading that the family will love. This fresh, flavorful breading is much more scrumptious than any frozen chicken strips could ever be. Serve the baked chicken strips with mashed potatoes, a salad or fresh veggies for a nutritious meal that you can feel good about. 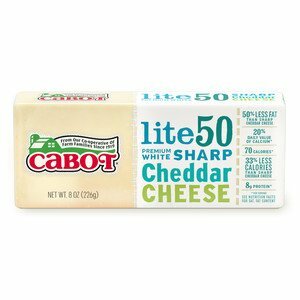 Cabot is a cooperative of 800 dairy farm families that are dedicated to producing the highest quality dairy products. 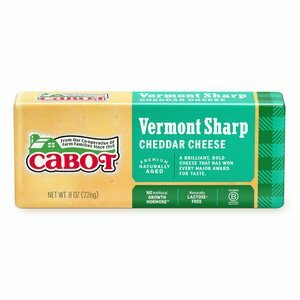 You'll be able to taste the difference that our award-winning cheeses make in all of our recipes. We love sharing these recipes with families around the world, and we look forward to hearing about the special meals that they helped to create. We hope that you will take a moment to rate and review the dish to share your thoughts and comments on our baked chicken strips recipe. PREHEAT oven to 375°F. Coat 9-by-13-inch baking dish with cooking spray. MIX in three separate bowls: - mix together flour, salt and pepper - beat together egg whites and milk- mix together cornflakes and cheese. BAKE for 25 minutes or until nicely browned, turning over after about 12 minutes. Serve with ketchup or barbecue sauce if desired. These were absolutely amazing! Super crunchy & so much flavor! These are really good and so easy to fix!! Makes great chicken fingers, though I changed the corn flakes for Italian bread crumbs and added some shredded parmigian Cheese. The family very much liked the fresh large chicken fingers over the frozen ones. A little labour intensive, but I think next time I will take the time to make extra and freeze. Thank you for the recipe. Tastes really good. It a bit of work but it's really good for when I have more time.